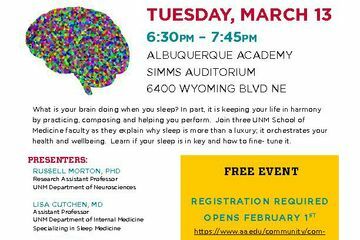 The community is invited to The Symphony of Sleep, a free public talk by three UNM School of Medicine faculty who will reveal how orchestrated sleep keeps your life in harmony. Join UNM’s Russell Morton, PhD, Lisa Cutchen, MD, and Shanna Diaz, DO, from 6:30-7:45 p.m. in the Albuquerque Academy’s Simms Auditorium, 6400 Wyoming Blvd. NE, as they explain how your brain practices, composes and helps you perform during sleep, to keep your life in harmony. Good sleep orchestrates your health and wellbeing. Discover if your sleep is in key and how to fine- tune it. Russell Morton, PhD, is a research assistant professor in the UNM’s Department of Neurosciences. He’s a neuroscientist and electrophysiologist whose research is dedicated to understanding how the cells in our brains communicate with one another and how external factors can alter that communication. Morton also is part of a larger research team at the UNM Center for Brain Recovery and Repair investigating potential therapies and interventions to improve brain recovery and repair following injury. Lisa Cutchen, MD, is a sleep specialist and assistant professor in the UNM School of Medicine’s Department of Internal Medicine, Division of Pulmonary, Critical Care and Sleep Medicine. 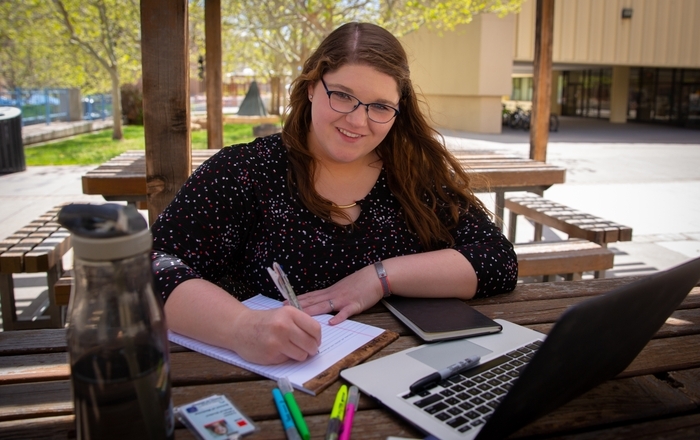 Cutchen worked as a mental health counselor before attending UNM medical school. She appreciates the importance of addressing both mental and physical health issues in sleep medicine and primary care. 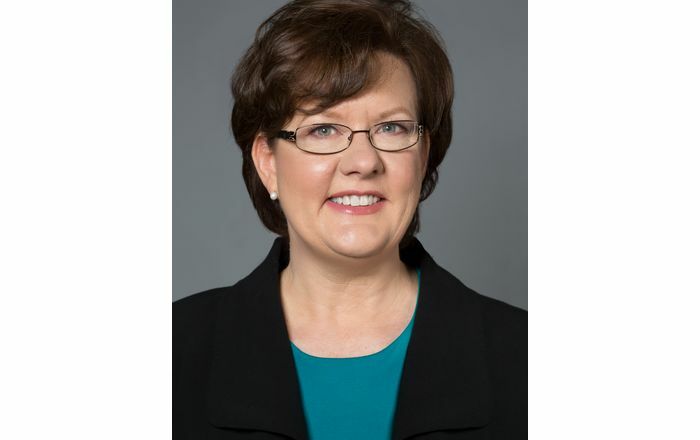 She is board certified in Family Practice and Sleep Medicine. Shanna Diaz, DO, is also an assistant professor in the UNM Department of Internal Medicine, Division of Pulmonary, Critical Care and Sleep Medicine. She is passionate about improving quality of life through treatment of sleep disorders. Diaz teaches patients and other health care providers about the importance of prioritizing and optimizing sleep to improve physical and mental health. She is board certified in General Psychiatry, Geriatric Psychiatry and Sleep Medicine. The Symphony of Sleep is the latest installment in UNM’s Your Dazzling Brain series, which cycles every spring with a new neurological topic during International Brain Awareness Week. The event is free, but space is limited, so please register. 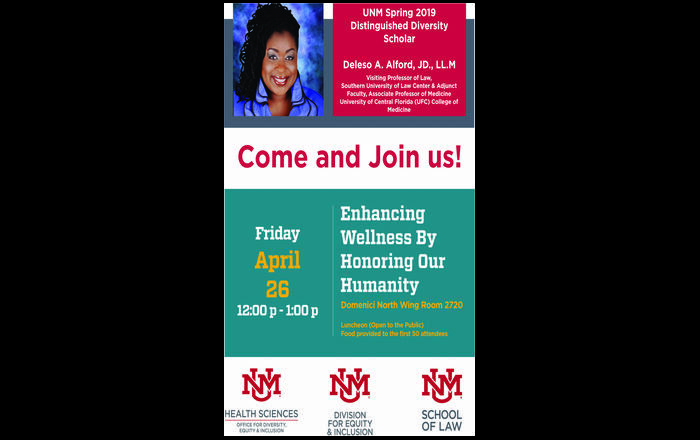 For more information, contact Lori Peterkin at lpeterkin@salud.unm.edu.